I chose LeMall in Beirut. Solution: Create a "battlefield" for the kids and their parents. 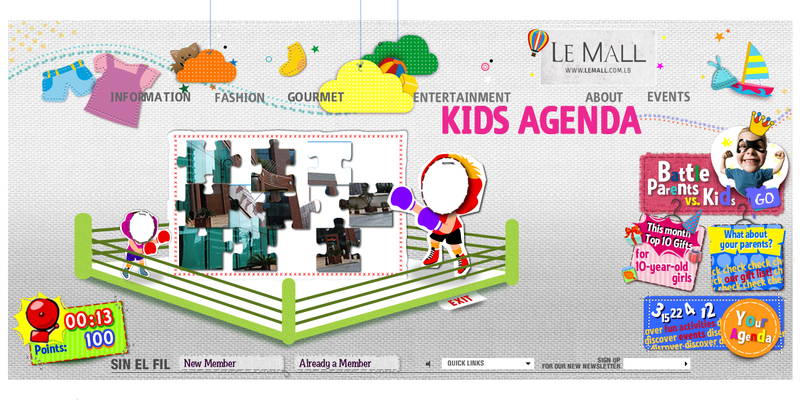 The online campaign (expandable banners,....) was aiming to push the children and parents to enter the new section and compete against eachother (boxing ring, enigmatic puzzles,...) thus bringing together the whole family in one place. 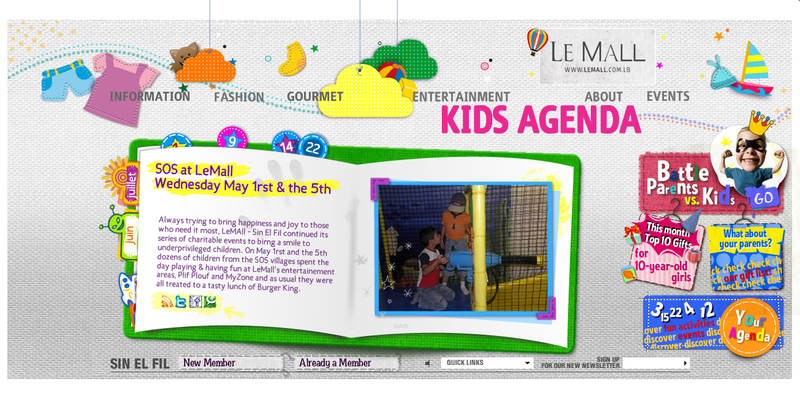 They are playing while discovering products and activities available at LeMall.